The title of physician has always been one of the most respected professions in the United States. Doctors are charged with ensuring the public health and helping those in need. Unfortunately there are times when one may find themselves having to defend their license before the Arizona Medical Board. Such a situation creates stress, anxiety, and potential damage to one’s reputation. Our Phoenix attorney assists doctors facing such discipline and makes such matters a priority. Contact our office today to speak with a professional license defense lawyer. Doctors may face the loss of their professional license for several reasons. These include improper relationships with patients, committing malpractice or negligence, potentially committing some type of billing fraud, as well as other issues. The potential loss of one’s license can be devastating regardless of the reason for a disciplinary proceeding. 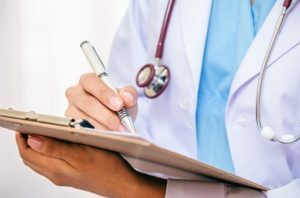 If you have received a notice from the Arizona Medical Board then it is crucial that you contact an attorney immediately. Ideally the issue can be resolved through negotiations with the Medical Board, a process during which having an attorney is essential. However, if the Board recommends sanctions then disciplinary proceedings which involve Arizona professionals, such as physicians, are heard before the Arizona Office of Administrative Hearings. The matter will be presided over by an Administrative Law Judge. In some ways the case will be similar to a civil bench trial. In other ways, however, it will be very different. Unlike a civil trial (such as a medical malpractice case) administrative hearings do not permit for the use of extensive discovery. This means that your counsel will not be able to gather information through Interrogatories, Requests for Admissions, or Requests for Production. Your lawyer, however, will be able to interview witnesses prior to the hearing, cross-examine witnesses at the hearing, and present evidence on your behalf. At the close of evidence the Judge will issue a recommended ruling to the Medical Board and the Board will make the final decision regarding discipline. This final ruling may be appealed to the Superior Court. Bretton Barber is a phoenix lawyer representing physicians who are facing the suspension or loss of their professional license. Bretton will use your initial consultation to determine your side of what happened and to establish a plan for defending your case. He will conduct any necessary investigation and ensure that you know what to expect from the process as the case moves forward. He regularly gives his cell phone number to clients and makes himself available to answer questions. He understands that you are facing a serious situation and he will take it seriously. Call today to speak with our attorney. We also represent professionals in other Maricopa County cities such as Mesa, Glendale, Scottsdale, Chandler, and Gilbert. We also assist Pima County residents in Tucson. Physicians, like many others requiring a professional licensing defense attorney, often err by waiting to contact counsel. This pause often comes from being overwhelmed by the feeling of facing a disciplinary proceeding. The sooner you contact an attorney however then the sooner it is that counsel can begin working on your case. This can lead to counsel being better prepared during your defense and, most importantly, possibly reaching a resolution which maintains your license while sparing you the disciplinary process described above. Do not make the mistake of waiting to obtain representation. Contact us today.